The phone comes with a 3.5 inch screen, 1 GHz processor and 3.2 megapixel camera, and is priced at Rs 4,999. Zen Mobile, an Indian mobile brand, has launched its first Android smartphone - the Zen Ultraphone U1. 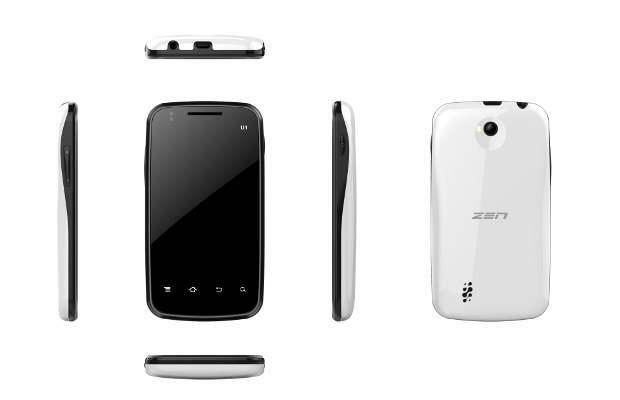 The dual SIM phone is based on Android 2.3 and runs on a 1 GHz processor. It comes with features like a 3.5 inch HVGA (480 × 320 pixel) capacitive touchscreen, a 3.2 megapixel camera with flash, GPRS/EDGE, WiFi and Bluetooth. Crucially, the phone misses out on 3G connectivity. It comes with a 1200 mAh battery and is priced at Rs 4,999. It is initially available at Homeshop18.com only. Deepesh Gupta, managing director, Zen Mobile, said, "Zen Ultraphone U1 is one of the top of the ladder innovations from Zen Mobiles and reaffirms our business tenet of getting the best technology to end consumers at affordable rates. We take pride in bringing pioneering technologies to the mobile users of today, which is in line with transforming their constantly evolving Android mobile experience." The phone, coming from a relatively unknown brand, doesn't have any standout feature and therefore might not be able to generate much interest. It even misses out on 3G and GPS, which brands like Micromax are offering, with their product and at only a slightly higher price. 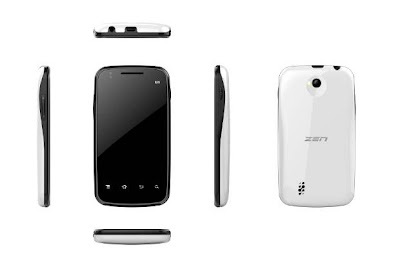 Zen Ultraphone Z1 supports dual SIM technology and it runs on Android 2.3 OS. Features provide are 1,200 mAh battery, 3.5 inches HVGA capacitive touch screen, resolution of 480×320 pixels, 3.2 megapixels camera.